Canon has announced two new compact cameras, the PowerShot G7 X Mark II with a 1.0-inch 20.1-megapixel sensor and the 40x zoom PowerShot SX720 HS. Both feature built-in WiFi and NFC technology. "In today's world, compact cameras must work well with other devices and still offer superb quality. 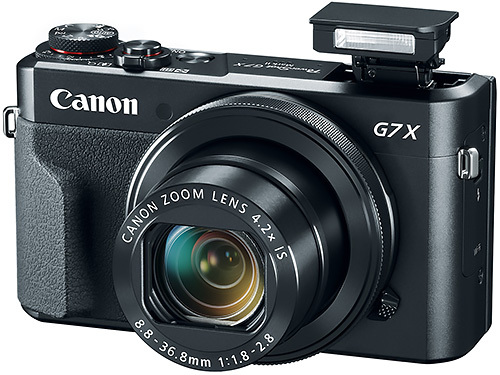 The PowerShot G7 X Mark II and PowerShot SX720 HS cameras both provide outstanding image quality with amazing optical zoom lenses and they easily connect with compatible phones, tablets and other smart devices so great images can be shared and enjoyed" stated Yuichi Ishizuka, president and COO of Canon U.S.A., Inc. The G7 X Mark II is the first Canon camera with the company's new high-speed DIGIC 7 image processor. Highlights of the new PowerShot include a faster startup time and improved Raw continuous shooting speed of up to eight frames per second. Panning feature to lock onto the main subject using Canon's Intelligent IS technology and automatically adjust the shutter speed for background blur. Canon said the G7 X Mark II will ship in May for $699.99. Adorama and B&H are accepting pre-orders now. The SX720 HS sports a 40x optical zoom lens with a 35mm equivalent range of 24-960mm matched to a 20.3-megapixel CMOS sensor and a DIGIC 6 image processor. To help handhold at telephoto focal lengths, the SX720 also features Canon's Intelligent Imaging Stabilizing technology. Canon said the SX720 HS will ship in March for $379.99. Adorama and B&H are currently accepting pre-orders. MELVILLE, N.Y. -- Ideal for both advanced amateur and pro photographers looking for a convenient, high performance compact camera with the ability to connect to compatible digital devices, Canon U.S.A. Inc., a leader in digital imaging solutions, proudly introduces the compact PowerShot G7 X Mark II and lightweight PowerShot SX720 HS digital cameras. Canon's new PowerShot G7 X Mark II digital camera pairs a 1.0-inch, 20.1-megapixel CMOS sensor with Canon's new DIGIC 7 Image Processor to help reduce noise and deliver outstanding image quality, even in low light shooting situations. The PowerShot SX720HS digital camera boasts a new 40x Optical Zoom lens (equivalent to 24-960mm), providing outstanding performance, reach and resolution for everyday use and when shooting memorable family events, while easily slipping into a pocket or purse. "In today's world, compact cameras must work well with other devices and still offer superb quality. 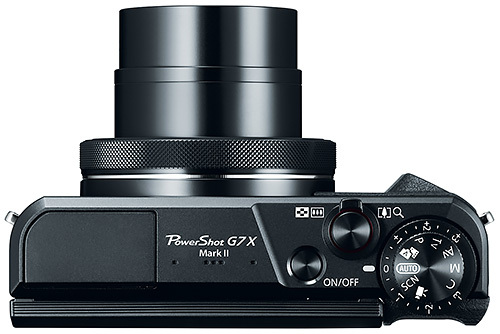 The PowerShot G7 X Mark II and PowerShot SX720 HS cameras both provide outstanding image quality with amazing optical zoom lenses and they easily connect with compatible phones, tablets and other smart devices so great images can be shared and enjoyed" stated Yuichi Ishizuka, president and COO, Canon U.S.A., Inc. The Canon PowerShot G7 X Mark II digital camera is currently scheduled to be available in May for an estimated retail price of $699.99. The Canon PowerShot SX720 HS digital camera is equipped with a new powerful zoom lens and is the ideal choice for amateur photographers looking to take a step up from a smartphone or entry-level digital camera to a lightweight, compact camera. 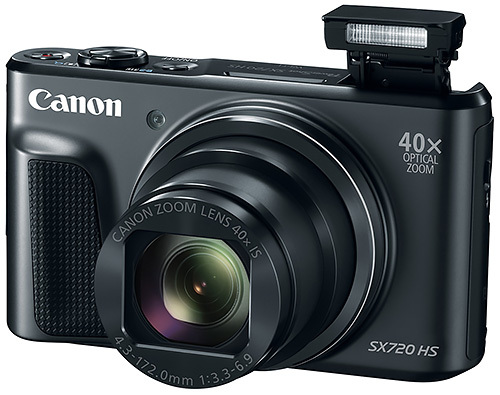 The PowerShot SX720 HS digital camera's new 40x Optical Zoom lens (24-960mm equivalent focal length range) uses one Hi-UD, three UD and three aspheric lens elements to help achieve high image quality and high magnification, while also utilizing Canon's Intelligent Imaging Stabilizing technology for greater optical performance. Canon's PowerShot SX720 HS digital camera is currently scheduled to be available in March for an estimated retail price of $379.99.